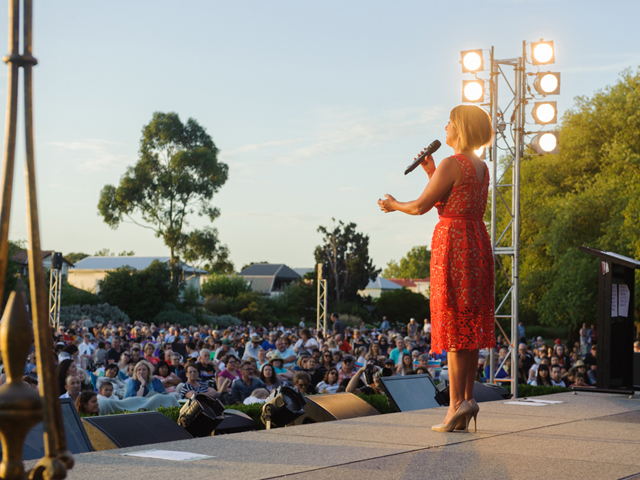 Music lovers will be able to enjoy free performances from some of Australia's best loved singers when The Classics concert series returns to Stonnington's parks and gardens this summer. Performers at The Classics concert series include Rob Mills, Vika and Linda Bull, Bobby Fox and Olivia Cranwell with the concerts set to cover the genres of Opera - 2 February, Broadway - 9 February and Symphony - 23 February. City of Stonnington Mayor, Cr Steve Stefanopoulos, congratulated the series' artistic directors for bringing together an exciting range of talent from across the musical landscape. "Thanks to the commitment and vision of The Classics' artistic directors, our community will enjoy some fantastic music and performances," said Cr Stefanopoulos. "I encourage everyone to get along to these performances, which will take place outdoors in Stonnington's historic parks and gardens," added Cr Stefanopoulos. The Classics: Opera, Saturday 2 February, 7.30pm at Victoria Gardens, High Street, Prahran. Award winning Australian director, Cameron Menzies will bring Puccini's La Boheme to the stage with an abridged version of this classic opera, performed in the round. You can look forward to performances by Olivia Cranwell as Mimi and Matthew Reardon as Rudolfo, as the two lovers deal with the harshness of winter and pains of jealousy. It will also feature conductor Simon Bruckard with a live eleven-piece orchestra, and Mairi Nicolson as the evening's host. This will be a joyous celebration of some of the best new contemporary music, including songs from Hamilton, The Greatest Showman, Wicked, and Beauty and the Beast to name just a few. Hosted by stage and screen star, Rob Mills, the night will include performances by Bobby Fox; Lisa- Marie Parker; Simon Gleeson; Zahra Newman and emerging artist Imogen Spendlove. The Classics: Symphony, Saturday 23 February, 7.30pm at Malvern Gardens, High Street, Malvern. Vocal powerhouses Vika and Linda Bull will perform songs with the Stonnington Symphony Orchestra.